Since establishing Thrasher's Wheat, what follows is probably the most significant article we have yet to publish in over 15 years. As regular readers know, every May 4th, we mark the anniversary of the Kent State, Ohio killings with a recap of the significance of what happened on that pivotal day and attempt to help readers understand why that day is more relevant than ever. With #Occupy protests escalating around the world, know that the US federal government historically uses provocateurs to incite violence at protests. Because of Kent State in 1970, the American right to peacefully assemble in safety remains at high risk. WATCH FBI informant provocateur Terry Norman (photo at top), the young man in the light colored sports jacket. Earlier that day Norman's mentor, Detective Tom Kelly from the Kent Police had attempted to have Norman's gun approved for carrying on campus during the demonstrations, but that approval never came so it's KEY that the video clearly shows Norman handing over his gun to Detective Kelly. As Norman was held up by the students, the national guard march back & forth, awaiting the sound of sniper fire. 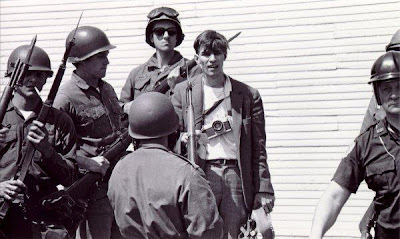 70 seconds after Norman shoots his pistol four times, the national guard command to shoot at unarmed students is given & Norman hightails it out of there into the arms of law enforcement & immediately hands over his gun. From there on, the FBI thoroughly corrupted key evidence in the Kent State Massacre as the FBI continually changed their 'official' stories. At first the FBI claimed they don't have the gun, then they do while Norman's gun was cleaned, milled & re-coated by the FBI. That the gun had been fired, but the FBI couldn't tell when. Interestingly, the FBI found unmatched bullets in his gun's chambers 'to pretend' it hadn't been fired. Most damning was that J. Edgar Hoover himself 'swore' that Terry Norman wasn't working for the FBI yet soon after Hoover died, the new FBI director came clean that Norman was paid $125 by the FBI in April 1970. 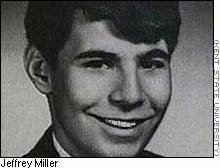 Furthermore, Norman's spent bullet casings were found & catalogued in the Kent State archive yet never entered into evidence, indicating the FBI corrupted the evidence & failed to collect all evidence in every investigation of the Kent State Massacre. Terry Norman lives at his mountain-top, off-grid outback palace in the Carolinas, enjoying protection and well-paid work for life in US Intelligence. With #Occupy protests escalating around the world, know the US federal government historically uses provocateurs to incite violence at protests. Because of Kent State, the American right to assemble in safety remains at high risk since 1970. Having taken a deep view into what happened at the 1970 Kent State Massacre over these last 2 years & hearing the Kent State Tape, it's clear the folks that made Kent State happen are the same folks #Occupy is protesting. 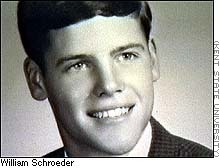 As an example, in 1970 young men were subjected to a draft lottery into the Vietnam war, without the ability to vote against or for the Vietnam war. Americans under 21 years old were drafted, shipped to SE Asia to fight for their country but they had no say. So young folks began protesting, joining together in civil disobedience to have their voices heard as the Vietnam war escalated in the later 60's. The same folks that pulled-off Kent State also collected the evidence. 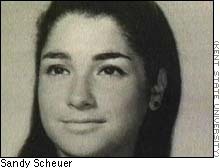 Key Kent State Massacre evidence has been repeatedly not included in the numerous Kent State Massacre investigations, thus indicating collusion along with tampering of evidence. The folks responsible for 'bringing the war home' at Kent State, were also the war machine & intelligence communities or the military-industrial complex. They continue to pull global strings as they make off with the money now more than 40 years later. For more, see Kent State Truth Tribunal. Thanks Laurel for all of your work in your sister Allison's name. Lastly, as the above article demonstrates, the powers that be will seek to manipulate and distort events in order to discredit a movement and their message. As we have seen with in the Occupy movement at the Air and Space Museum false flag confrontation to the Oakland Port "anarchists" violence, agent provocateurs will try and discredit the people's movements. Stay calm & safe 99%'ers. solidarity. More on Kent State and Neil Young's song "Ohio". ...the continued education of the people regarding the true historical facts surrounding the kent state massacre are crucial to our understanding of the history and evolution of organized protest and free speech, and human rights in our country. However, in as much as similarities may appear to exist between the civil rights and anti war movements of the sixties, and today's 'occupy' movement, I hesitate to equate the two at this point in time. Much more will be revealed with regard to our current situation, and many, many anti war and civil rights protestors have a difficult time wrapping their heads around the focal point and message of the occupy movement, as we put on our daily work clothes and head off to the daily grind. How can we run when we know? While it is extremely worthy to discover the truth as to what really happened at Kent Sate, to attempt an analogy to today's Occupy Whatever nonsense is laughable. There have been numerous sexual assaults, rapes, larceny, etc. all over the country at these festivals for the malcontent left. I realize the "mainstream" media is looking the other way and not reporting it but it's happening. Funny I don't recall crime, violence and littering at Tea Party rallies...hmmm. I am the 1%. There is no one else on this Earth who is me except me. That makes me a unique 1% individual. This collectivist 99% sloganeering crap is heading toward dangerous outcomes. Sad. @1%'r - we applaud your confidence & audacity. So you feel it's "laughable" to make an analogy between KS & #Occupy? Is it not also "laughable" for you to make an analogy between #Occupy & The Tea Party? Perhaps "laughable" was not the right word used to describe the comparison Thrasher, as I now realize that it comes across as hostile toward your assertions and that wasn't my intent. At Kent State, protesters were demonstrating their opposition to a war being fought overseas. The draft was being used to force citizens into the military against their will. Although I wasn't alive in 1970, it seems to me that the opposition and protests were justified as people's lives were on the line with Vietnam and Laos, etc. Here we are 41 years later. The Occupy Whatever crowd seems quite confused as to exactly what it is that they are protesting against. Corporate greed? The military industrial complex? Having to pay back student loans? Israel? Unemployment? My point is that this modern day protest is not focused like it was at Kent Sate. You didn't address the fact that sexual assaults, public defacation, vandalism, etc. has occured at virtually every Occupy Whatever city in the USA. Do you condone that? Or are you conveniently looking past those sad facts? Now as to my comparison between the Tea Party and Occupy Whatever - I feel that the two groups represent two extremely divided groups of American citizens. Both groups have risen up under the Presidency of Obama; therefore it seems logical to analyze them in context. One group has a clearly stated set of principles : they support lower taxes, limited government, and the rights of the individual to be just that - an individual not beholden to government programs. Their rallies are peaceful; they clean up their own mess when they leave. They are patriotic. The other group throws rocks, burns dumpsters, craps on police cars, vandalizes property, and has a clear disdain for their country. Not to mention the young people who can't find a job in this horrible economy that was created by government policies. It seems like we're heading toward something quite unsettling. Revolution Blues? I don't know the answer to that. But we have a President who specializes in these tactics of agitation and confrontation. I support both groups right to protest against that with which they disagree. That's democracy. But the disrespect for the flag, the rapes, the vandalism, etc. that have occured among the Occupy crowds leaves a bad feeling in my stomach. What would make them happy? Free everything? More government handouts? They should be protesting the federal government - not Wall Street. It's federal policies that gave legitimacy to the shady crap that Wall Street was getting away with - and still is. Oh well - I love your site and Neil Young. @1%'r - Thanks for the walkback. Your confusion over what does Occupy stand for is quite disingenuous. As we -- and many others have stated before -- anyone who doesn't get it is acting in the interests of the 1%. Or clueless. Or lying. What is so hard to understand about Occupy? Is the complete transparency of the process confusing? Is the OWS GA position statement that hard to fathom? The similarity of Occupy & Vietnam is folks speaking out against what they think is wrong, i.e. protest. As for not addressing the false smears, cite your sources similar to what we did above re Air & Space & Oakland false flags. lastly, the Tea Party? Last we checked, it is commonly accepted that the Tea Party is comprised of racists, homophobes, anti-immigrant, anti-choice, global warming denialists, etc types. The TP diversity is non-existant and is virtually 100% white. It is not a grass roots movement but a corporate,astroturf org funded by the Koch brothers. Also, it was not uncommon for attendees to bear arms at Tea party rallies. Compare that with peaceful, non-violent unarmed Occupiers who have been beaten, maced, tear-gassed, rubber bullets fired at, etc. Why aren't you outraged by the police brutality? Or are you OK with it? Now what does all this say? Incidentally, we really find it hard to believe that someone from the 1% is commenting on this blog? Seems rather far-fetched. We suspect that you may be just doing their dirty work against your own self interest. Good grief Thrasher I really thought you had more intellectual abilty to converse. Sadly, you're simply reciting every far left talking point concerning the Tea Party. You apparently don't even understand my point about being a 1% individual. It was a play on the silly 99% vs. 1% nonsense. You've bought into the entire lie of the left. Thanks for immediately dismissing my confusion as to what OWS stands for as disingenous or a lie. You wrote off my thoughts right out of the gate because they don't fit with your worldview. You have now shown yourself to be a brainwashed leftist hack who spouts off about the Koch Brothers - all the while belittling Americans like me who happen to support the Tea Party and any other movement that promotes freedom. You also state that it's "commonly accepted" that the Tea Party is comprised of racists, homophobes, etc. Commonly accepted by whom? You and your fellow travelers out on the lunatic fringe I guess. I won't spend any more time in the fultile effort to break through. You are only tolerant of others if they agree with you. That's beyond sad. Another anti-American angry leftist = Thrasher. Why do I believe you would outlaw the right wing if you could? You're a facist. Think about it. Try to rise above the talking points. @Walk on 1% - And yet you seem to return day after day, to a place you find distasteful and so beneath your intellect and ideology? Stop hating and lose the anger. Your ad hominem attacks are a sign of desperation and the fact that you just simply don't get it. The right/left paradigm through which you view the world is totally flawed. Watch the C&N interview posted last night. That might help you understand. good luck. I thought you were interested in an intelligent discussion. I'm sorry I was wrong. @ 1% - it is beyond sad, sick & disgusting that you would attempt to use the suicide of a Vet -- & on a Veteran's Day nonetheless! -- to try and score points. you really have no shame or decency. 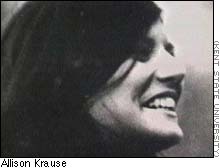 I was a central Ohio High school student the day of the Kent State shootings. The girl who sat next to me had a father in the National guard at Kent State. This act of atrocity was one of the most evil ever committed on our citizens since WWII. I have NO doubt that there is involvement by the FBI. They have made a habit since the late 60's of infiltration and spreading lies and dis- information against anybody or organization they don't like, particularly when J. Edgar Hoover was at the helm. The fact they lie and cover up facts and evidence like cats in a litter box covering their excrement is an indication of their evil. To whoever said "Obamazombie" - by all means, put your money where your mouth is and SHOW US where Obama has been supportive of the goings-on of this movement beyond a few offhand and totally meaningless words. He's been silent. Whoever really thought that 2 parties could serve everyone? The basic premise with these failures is a result of the political masking of TRUTH. God's truth will NEVER be denied, and those who deny HIS TRUTH, WILL end up in hell, either on earth, or in hell, if not both! Those who will protect political aims and agendas that deny truth, will pay the ultimate price! Evidently humans don't care ENOUGH about DOING THE RIGHT THING. When humans have to answer to GOD for their wrongs , let's hope that GOD listens better than humans do! I actually KNEW one of the police involved in the Kent State shooting...he would totally disagree what liberals are saying about both THIS EVENT, and the Occupy madness! He saw it first hand...you are ALL missing the whole point!!! Instead of DESTROYING your society out of anger and hatred that blinds you, BE THE DIFFERENCE AND LIVE BY EXAMPLE! If YOU want to support the poor, GO OUT AND DO IT, FIRST HAND, instead of talking about it...human conceits, fear and ego ALWAYS stand in the way of true progress! Conceits from below, as well as conceits from the top 1% are BOTH to be rightfully and equally blamed! Stop Getting stoned like your GOVERNMENT WANTS you to do, and START BEING YOUR OWN LEADER and QUIT FOLLOWING IDIOTS AND LIARS! 1)The National Guard was not some type of monolithic evil institution. It was poorly-trained, part-time group of young, inexperienced, scared contemporaries of the students that was rarely, if ever, used. 2) Some students exhibited considerable violence, such as rock throwing and property destruction. I remember watching all film on TV at the time, and thinking that the combination of the two factors lead to the tragic outcome. The government should never have deployed the National Guard, and someone should have explained the danger to the naïve young students. If my memory is sound, I remember reading an article in "Florida Today" newspaper that the medical examiner (an ex-army surgeon) who performed the autopsies reported that bullets found in the bodies were .223, the same as those being used in Viet Nam. The National Guard, as the photos show, were using older WWII era M-1 rifles.